Our Personalized Sister Gifts provide the canvas for expressing your true feelings for your sister. Create Gifts for Sisters that will be loved forever. 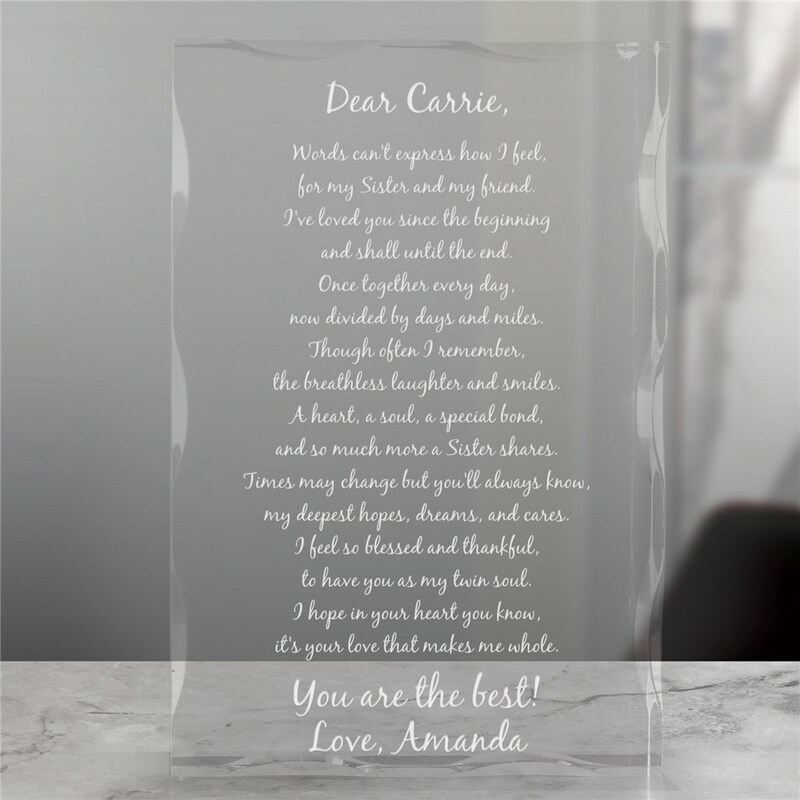 This To My Sister Personalized Keepsake Block allows you to share our poem, To My Sister, and personalize it with any opening sentiment and any two line message engraved after the poem. Or, you can create your own poem, up to 20 lines! Just what I ordered. Perfect poem & well done. Delivered securely & on time! This was the best gift I could have given. It is perfect! She loved it and was very surprised! I am still ordering gifts for family and friends! Additional Details Our personalized sister gifts range from silly to sentimental, take a look at our entire collection! Shop for personalized gifts for everyone on your list from GiftsForYouNow, it's easy to give something unique and special.